I interrupt my previous thought train (unforgettable stories) to suggest that everyone listen to an unforgettable journalist who I happened to catch on “Talk of the Nation” on NPR yesterday: http://www.npr.org/2011/05/23/136583949/bill-moyers-shares-favorite-journal-interviews. This was a compelling conversation with a man of high ideals, who isn’t afraid to speak uncomfortable truths. We like to think of ourselves as democracy, Moyers said, but the word “oligarchy” better describes our government – rule by a few people of wealth and power, who do things like deregulate banking and finance, which guarantees that events like our recent financial disaster will happen again, since nothing structural has changed. Few significant differences remain between Republicans and Democrats, Moyers added, and neither party really cares for he interests of working people. Yet Moyers’ voice was animated and full of joy and hope. As well as current events, Moyers talked of his love for poetry and the inspiration he and millions of PBS viewers found in his conversations with Joseph Campbell. 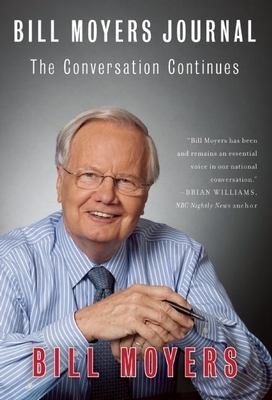 This interview celebrated the publication of Moyers collection of 47 interview with “independent thinkers,” taken from his PBS probram, “Bill Moyers Journal,” that ran from 2007-2010. This isn’t the sort of book I usually read, but Moyers is one of those rare talents, like Ken Burns, who I will listen to no matter where he chooses to go. I downloaded the book to my kindle, and after listening to the radio interview, you may just do the same. This entry was posted in Authors, Culture, Current Events, Economics and tagged authors, current events, economics, politics. Bookmark the permalink. I was very touched to read your comments on my book. Even at this age — especially at this age (I’ll be 77 tomorrow) it is a thrill to discover a kindred spirit. A very happy birthday, and thanks for your kind reply! “Kindred spirit” is how I have felt about you since watching the Joseph Campbell interviews, so I really appreciate your encouragement. The chance to make connections like this is a huge benefit of “the blogosphere,” (even though it is still a horrible name).